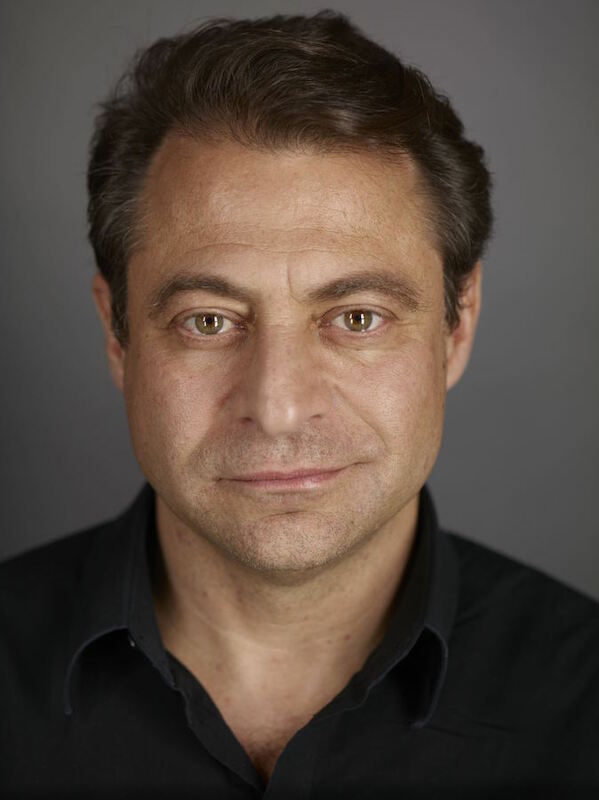 Dr. Peter Diamandis took a leap nearly 20 years ago to found XPrize, a non-profit organization with the goal of tackling the biggest global issues through a competition of ideas. To date, XPrize has awarded millions to innovators addressing spaceflight, education challenges and healthcare efficiency, among other concentrations. NRG COSIA Carbon XPrize, the latest prize announced this week, is calling on individuals and teams to find ways to turn carbon emissions into something useful—for a $20 million prize. We talked with this self-described “Trekkie” about what inspires him, why competition yields the best results and how Flipboard plays into his plight. By Gabriella Schwarz / FlipBoard. What inspired you to start XPrize? Since my childhood my dream has been to fly into space. I was sort of inspired by Star Trek and Apollo. I went to MIT, got an engineering degree, went to Harvard, got a medical degree, got my pilot’s license—all with the aim of going to space. I realized there was no way in the world I was going to be selected as an astronaut. The question was, if that was the only option, how else could you possibly go? A dear friend of mine, Gregg Maryniak, gave me a copy of The Spirit of St. Louis. I learned reading that book that Lindbergh crossed the Atlantic in 1927, not on a whim, but to win a $25,000 prize. And that $25,000 prize had inspired nine different teams around the world to spend $400,000—16 times the prize money—to win the prize. I said, maybe I can create a prize to build a private spaceship that could take the rest of us to space. We announced the prize in 1996 under the arch of St. Louis with 20 astronauts on stage, the Lindbergh family, the head of NASA, the head of the FAA. I didn’t have the $10 million; it took me five years to raise the money. We finally raised the money from the Ansari family and we raised the prize in their honor. But the prize worked. We stimulated 26 teams from around the world who spent $100 million to win the $10 million prize. The winning vehicle, SpaceShipOne, is now hanging in the Smithsonian right next to the Spirit of St. Louis that inspired it, and Richard Branson licensed the winning technology to create Virgin Galactic. And on the heels of that prize being won, we basically said let’s develop prizes as a means for driving breakthroughs. I was able to recruit folks like Larry Page, Elon Musk, James Cameron, Ratan Tata and others. We now have an organization that every year, throughout the year, we look at what are the world’s biggest problems that have not been solved that should be solvable. We design, build, fund, launch and run competitions to try to solve those grand challenges. It’s rare to have a company trying to change the world be focused around competition. How central is that to the mission? Is it a sign of the times that this is so successful, or is there always a competitive streak in people? I think the ability of XPrize to work is increasing more and more every year, for the following reason: 1,000 years ago, the only people who could take on big hairy problems, a regional or national problem, were the kings and queens. They were the only people who actually had any ability to make a change, and even all they could do was deploy their troops or change monetary policy. It was very limited. Today, anybody who’s truly passionate about solving a problem has access to extraordinary technology. So the ability of an individual who is driven and passionate to solve a problem is greater. In 2010, we had 1.8 billion people connected online. Today it’s roughly 2.9 billion. And by 2020, that will be somewhere between 5 and 8 billion connected individuals. So the number of people we can reach around the world, who care about solving problems and have the tools to solve problems, has skyrocketed. We’re effectively globally crowdsourcing solutions from people who don’t know it can’t be solved. Are there traits that the winners and competitors share? The subject of the XPrize is something that is a passion for the teams coming in and the teams who do well. They’re not doing it for the money; they’re doing it because they think it’s the mission and purpose of their life. The money is a rationalization; it’s a way to keep score, a means to incentivize their investors. But these individuals are driven, excited. As humans, we do our best work when we compete, whether it’s in the Olympics or in business or in sports or finding a spouse, whatever it is. We are genetically designed to do our best in competitions. This is about using that trait in humans to unleash the creative power of humanity on the world’s biggest problems. Turning to this year’s Carbon XPrize—why tackle this issue now? Do you see it as a make or break moment for climate change? At XPrize we have a family of prizes in different subject areas, and we’ve been focusing our energy on the environment as one of the key areas. We had a 100 mile per gallon equivalent XPrize that was funded by Progressive Insurance. One hundred thirty-six vehicles entered the competition. The carbon XPrize has been in development now for a number of years, and I think part of the motivation is that there needs to be a solution, and it is our view that the solution isn’t regulatory. If you pass a regulation in the United States, the majority of the polluting coal and natural gas plants aren’t impacted because they’re in China and parts of Europe and Asia that don’t care about the U.S. regulations. In this case, if you were able to actually design a device that was able to capture the CO2 out of the effluent, the smoke stack of a gas or coal plant, and turn it into a material that was extremely valuable, hopefully more valuable than the cost of capturing it in the first place, it turns that carbon conversion process into a profit margin for the power plant. That’s extraordinary because now it’s in every power plant’s best interest to capture and convert the CO2, and then you’ve got something that becomes a no brainer and in a person’s self-interest to do. That’s something that can spread globally. Registration is open so any team that wants to go to carbon.xprize.org can begin the registration process. I expect we’ll have teams that will effectively look at turning the captured CO2 into products like building materials, maybe there will be graphene, maybe we’ll have a team that will look at turning it into diamonds, who knows. But that’s open for their imagination. How do you hope your Flipboard magazine improves the understanding of XPrize or what do you hope readers gain from your presence on the platform? I want to put interesting, useful knowledge in the palm of people’s hands. One of my goals is that XPrize becomes more crowd-driven, not just for the teams solving the problems, but from our decision on which problems to solve. I want to educate people around the world about the XPrize, give them a voice and give them the ability to support the team going to the moon or building the tricorder or educating children around the world or converting carbon. I want them to geek out and know that the world is getting better because people are focusing on the big problems. For me, that’s it. I’ll read Flipboard over reading any newspaper, probably 100 to 1 is the ratio, the number of articles I read on Flipboard over The New York Times, the Washington Post. I want to reach people like me. You mentioned regulatory reform. Has the relationship between private businesses and government changed since you started XPrize? Are you satisfied with the way it is? I’ll say that when we are launching our prizes and designing our prizes, we think about the regulation. So, for example, with the original Ansari XPrize, when the prize was launched in 1996, it was illegal (i.e., the FAA that governs space flight didn’t have any rules or policies that allowed humans to fly). In fact, all launches were one way; you didn’t have the ability to launch and then have a recovery flight. So I actually worked with Marion Blakey, who was then the FAA administrator, an amazing woman, to get the regulations changed. So the XPrize actually drove the regulatory reform that was required to create the price of space flight. We have a similar situation right now where we have one of our really exciting prizes called the Qualcomm Tricorder XPrize. Next year is the 50th anniversary of Star Trek, and any Trekkie will tell you that the Qualcomm Tricorder is a fundamental piece of equipment that all of us should have at our home. Our vision here is that the tech exists to create, sort of version 0.9 of the tricorder. Three and a half years ago, Paul Jacobs, who’s the executive chairman of Qualcomm, and I had lunch. We’re both huge Star Trek fans, and the Qualcomm foundation put up $20 million in capital—$10 million for the prize and $10 million to run it, for a device that any consumer could use. It’s not for a doctor or nurse; it’s for you or me or a mom or dad to diagnose themselves or their kids at 2 a.m. in the morning when they’re sick and be able to self diagnose. We expect a winner next year in 2016, conveniently the 50th anniversary. To go back to the regulatory side: we have a very close working relationship with the FDA so that the teams, as they go through this design process and testing process, at the end of it will have something that will be welcomed and supported by the FDA so it can go to market. What are you most proud of and what does success mean for you looking forward? I’m very proud of the original prize for space flight. I’m proud of the organization that we’ve built. We’ve built an amazing team of about 90 really passionate people who truly care about this and could be working at Google or Apple, but they choose to work with us and design and operate these prizes. Frankly, I’m very proud of the brand that’s been created. We’re now entering a period of time where there is no problem that can’t be solved. It’s the notion of going from a mindset of complaining about problems to a mindset of solving problems. The world’s biggest problems are the world’s biggest business opportunities. Help a billion people; you can become a billionaire in the process. And that’s what XPrize stands for. We look at some of the big problems that have not been solved and putting them in the bull’s eye of global innovators, of hundreds of millions of people who now have access to extraordinary technology. A lot of the teams going after this are not experts; they’re naive so they’ll try things, they’ll experiment in ways that other experts say can’t be done. That’s really where a breakthrough comes from. To quote a friend of mine Burt Rutan, who built SpaceShipOne, the day before something is truly a breakthrough, it’s a crazy idea. And if it wasn’t a crazy idea, it wouldn’t be a breakthrough; it would be an incremental improvement.